My work issue Samsung Galaxy S3 unexpectedly died just before Christmas. For some odd reason the screen was either really really bright or it didn’t turn on at all. Never dropped, never abused, totally pampered, and display dead. Left without a smartphone I felt a little uneasy which just confirmed my earlier suspicion of being a phone addict. Not a “phone” addict per say, cause I spend very little time actually talking on the phone, but a smartphone addict with all the cool stuff it can do. Although I am an Apple fan and love my MacBook I’m yet to own an iPhone and totally buy into the iOS ecosystem. I’m sure it will happen at one point, but even after trying an iPhone 4S for a couple of weeks I just wasn’t buying the small screen factor. Being a technology junkie I decided to take a different route altogether and got a Nokia Lumia 920 with its Windows Phone 8 operating system. Why? It’s something so completely new to me that I just had to give it a try. The Nokia phone feels like a tank. It’s heavy, it feels great in hand, it’s super sturdy, but would probably not survive a waist-line floor drop due to its heftiness. It’s got a Carl Zeiss lens and it captures great photos. Best part is the dedicated camera shutter button with a half-press focus functionality and all, something I have quickly embraced as pictures are a big part of my smartphone requirements. 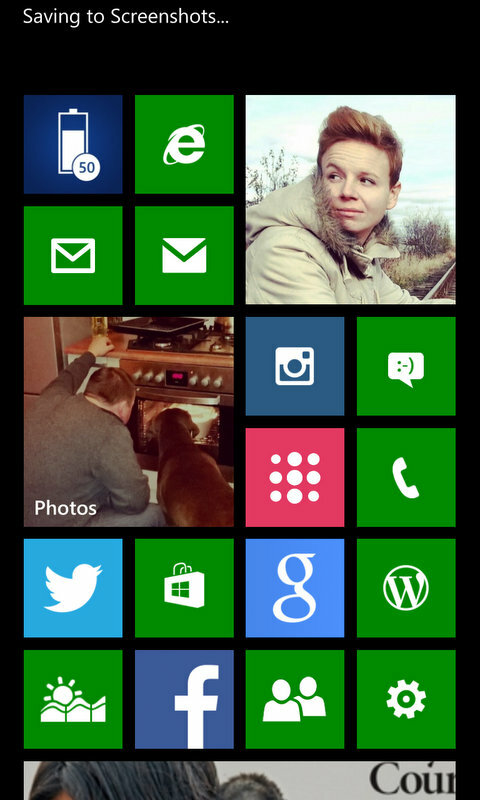 Windows Phone 8 operating system, WP8 in short, is a little strange but extremely fast. Extremely simple, too. Things might look flashier on Android or iOS, but they look good on WP8 and load up quick. The system itself is very intuitive and just works, which I can’t say about Android half the time. “Just works” might be what Google wants, but Sumsung and their TouchWiz version of Android doesn’t always follow suit. I started writing this post sometime before New Years as I was first playing with Lumia and have since received my Galaxy S3 back, all fixed up only to have the power button break a week later. C’mon Samsung, seriously? Lumia however keeps on going with it’s tank-like prowess. I love that thing, so much infact, that I traded it with my fiance for her small Lumia 620 only so that she can have the experience of a great phone… I will get one again eventually. The biggest drawback of a Lumia phone can be the app store, or rather the lack of apps in it. But all the big boys are there: Facebook, Twitter, Instagram, Evernote, WordPress, WhatsApp… actually the only one missing that I really want is an official YouTube app. I don’t play games on my phones so I don’t notice game titles not having their presence in WP8. The battery, too, isn’t at all the greatest. It holds a day, sometimes a little less, it could’ve been better. Ohhh, and did you happen to watch the second season of House of Cards? The new House Majority Whip Jackie Sharp has a Lumia 920! I am totally sold and hooked on what Lumia 920 and the WP8 ecosystem. If you haven’t given it a try, I highly recommend it. Here are just a few photos I’ve taken with the 920, but basically whenever you see a photo here that begins with a WP (WIndows Phone) you’ll know that it came from that phone.